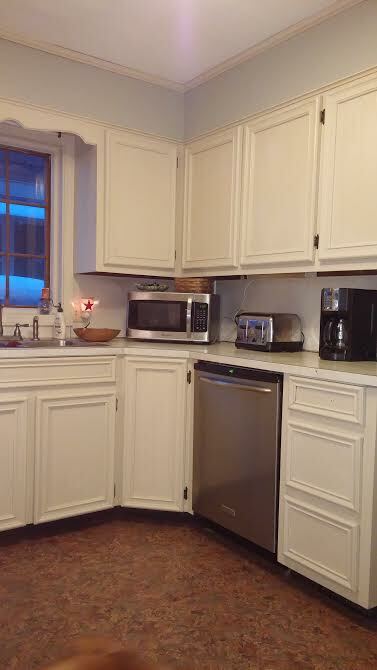 My January goal was to clean de-clutter and paint my kitchen breakfast nook and half bath. I finished most of the painting and de-cluttered the bath. 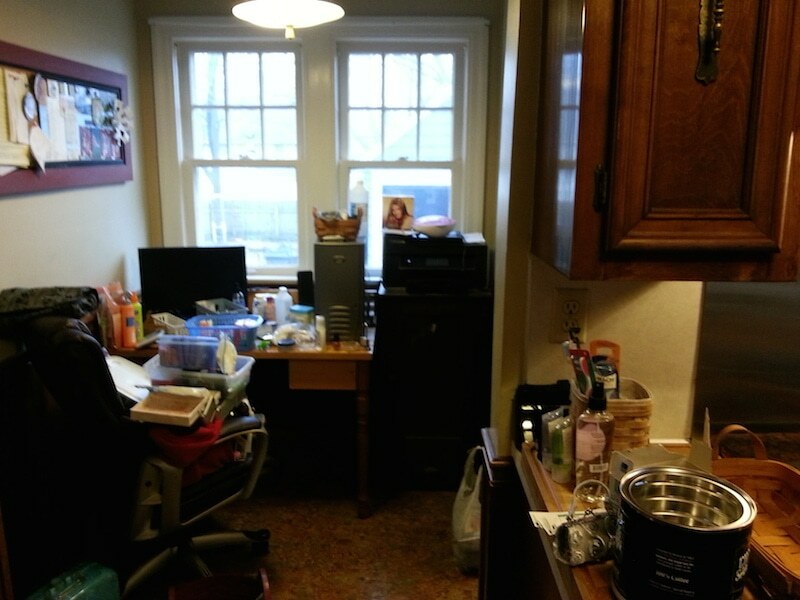 Here my kitchen and bath are after. This was a huge amount of work. I removed all the doors, cleaned and sanded doors, drawers, and frames. 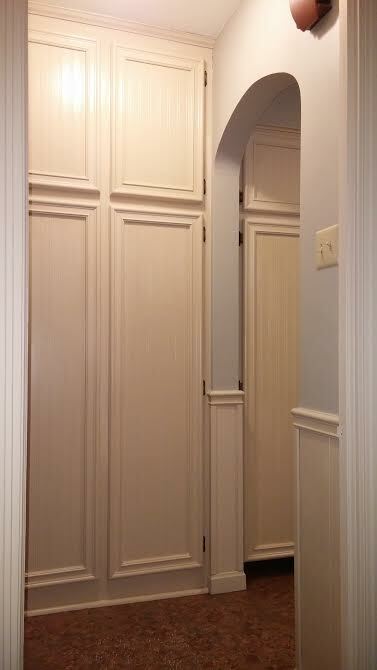 then installed paintable wallpaper to the centers of all the doors. Next I painted with Valspar paint and primer flat. I waxed the doors in the bathroom but decided it would take me forever to wax all the cabinets and my research told me that I would have to wax every 6 months or so to maintain the look! Um no thank you. DID SAY THIS WAS A LOT OF WORK? I’m not touching them again…I’ll sell first! So I used a water clean up poly and did three coats of poly on everything. Oh I also did three coats of paint on everything both sides of doors. My hubby was guilted into painting the ceilings and doing the trim for me because I am not at all neat and he hates having irregular lines between the walls and ceilings. I am extremely happy with the results. 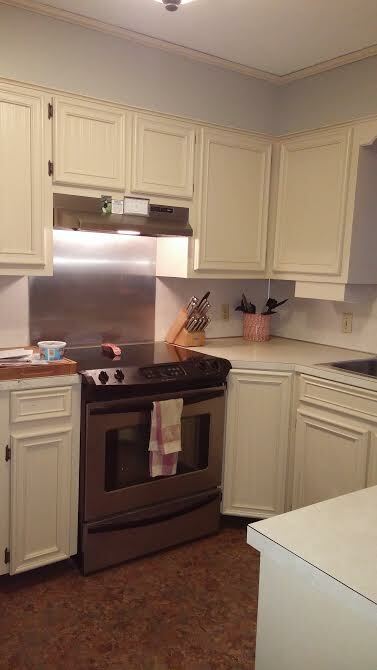 I will use my February challenge to finish up the breakfast nook(we have not painted it yet), make curtains for the 1/2 bath and sink window, de-clutter the kitchen cabinets, and install the door pulls, install new counter and backsplash (or paint both). I need new screws for my pulls the one that came with the knobs are 1″ long my doors are 1 1/8″ thick! I spent $90 on paint $30 on poly $50 on wallpaper and $156 on knobs. 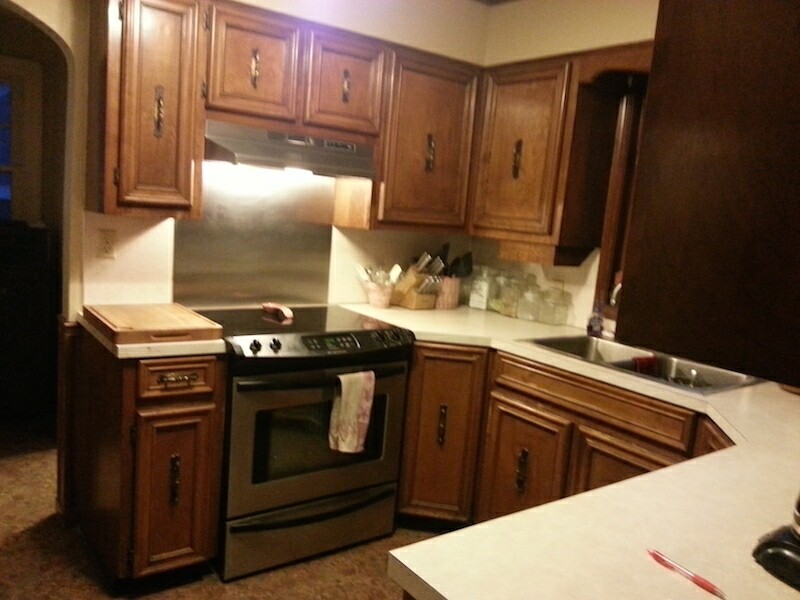 So a completely new looking kitchen for around $375. Thanks for letting me participate in this challenge, I may have never had the drive to finish such a big project if I didn’t have this challenge to motivate me. 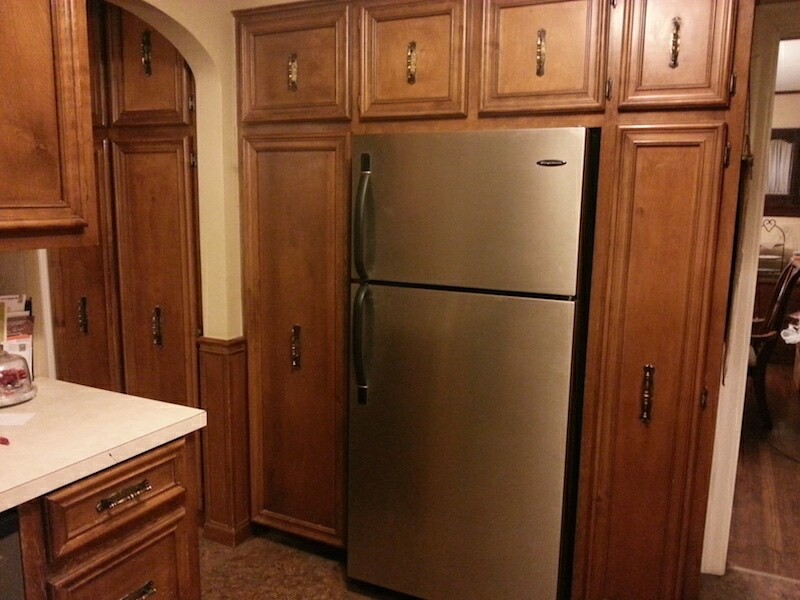 Wow, this looks like a whole new kitchen! The white really brightens up the place. Great job!!! Think you can transform a room in your house in 30 days? Sign up HERE to be notified of new room challenges! she did a great job on her kitchen. 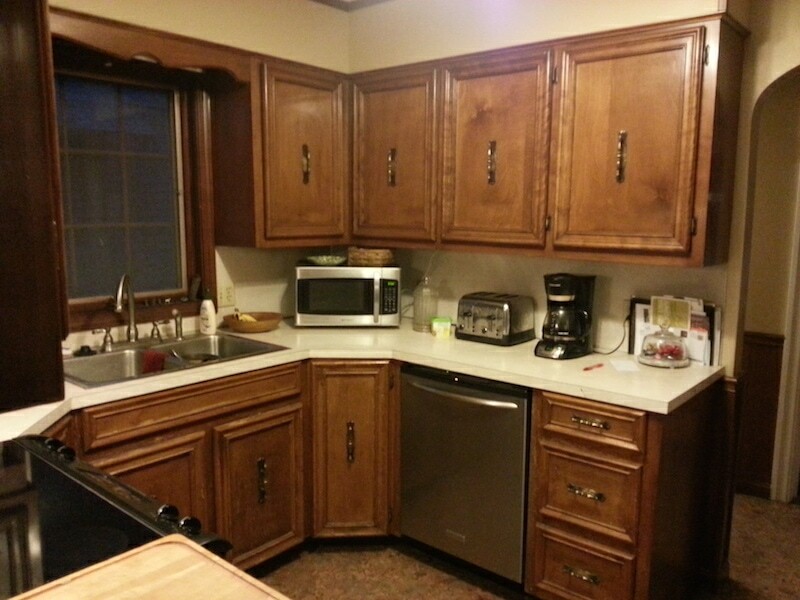 I am going to do a cost effective redo in my kitchen that my mother did in the 80s. I’m saving up, because I really want to take out the ceiling, it is still tall but I liked this house before the drywall ceilings were done. 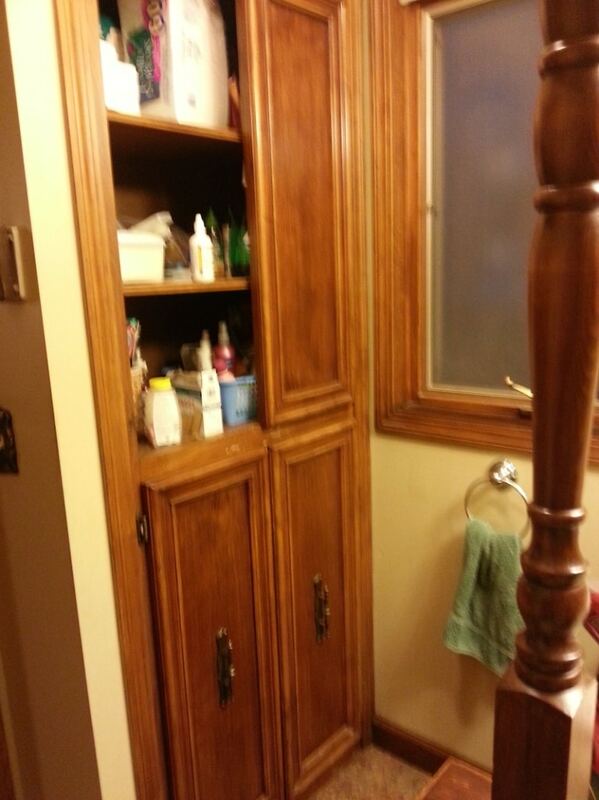 I have a wall of cabinets, upper and lower that I will move to our utility room. That will free up a wall and provide greater floor space. I know my lower cabinet configuration cannot be improved upon and that those cabinets will look great painted in Annie Sloan. I plan to do everything white, because the room doesn’t get good light in the afternoons. 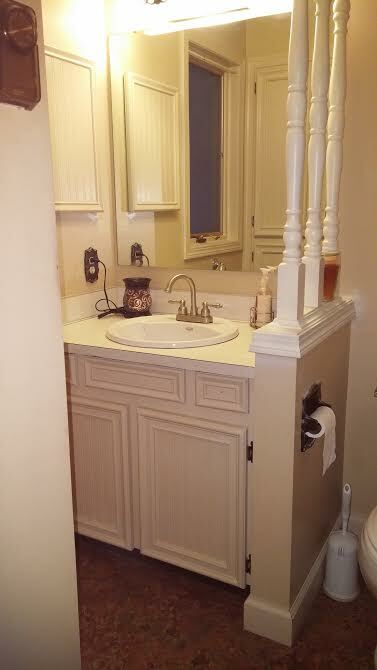 I will replace the sink with a white farm sink, it is very in keeping with the era of this house. I will do white quartz counters, hopefully one of the new marble look counters in hard surface material. 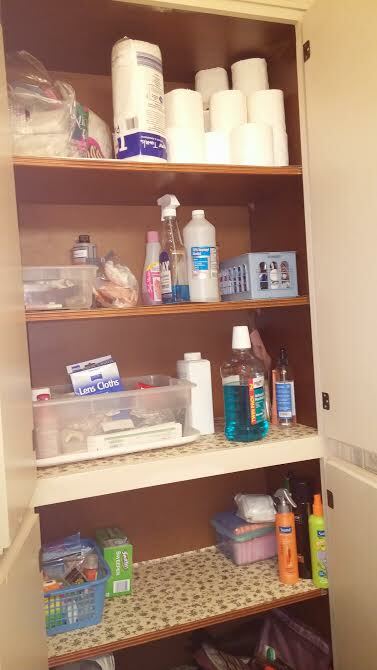 I will remove the upper cabinets above this long group of lower cabinets. 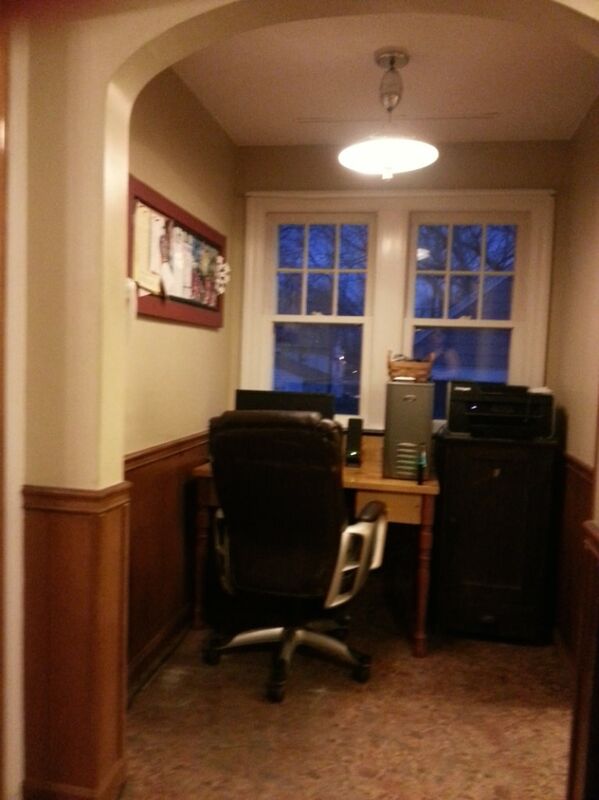 My plan is to cover the walls in 4″ wide bead board or a 4″ other, all in white as well. 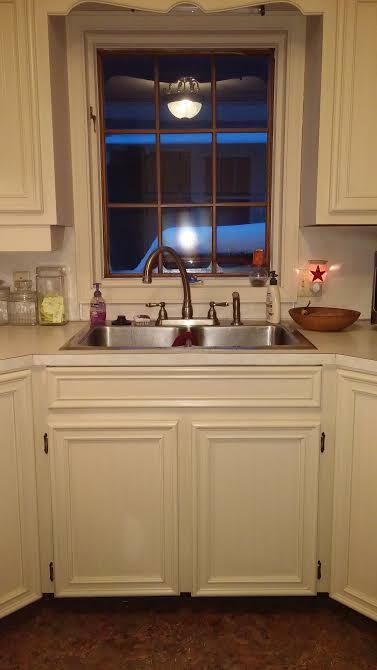 I am styling a type of open shelf system with ends and top molding that will resemble the top of a Welsh Dresser. My floor is a very light oak, so will not be changing that. 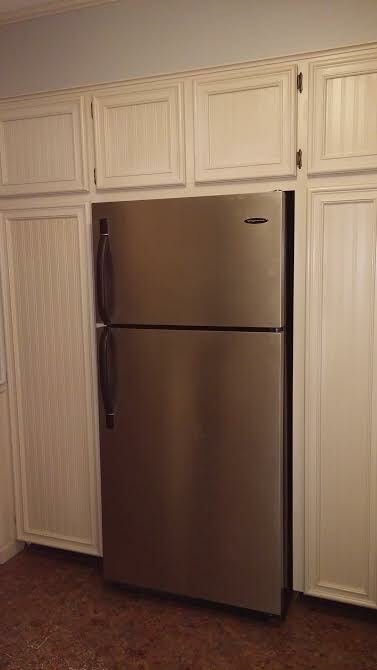 Large refrigerator in St. Steel and also gas range in st. steel will take up the L of that wall. Lighting , I am not certain, but I believe it should be see through and not take up visual space. I probably will use some glass tent lights, due to the era of the house. So much to do! I plan to place a handmade corner cabinet in a corner, and it will house a small flat screen, which will no longer be taking up counter space.